Stand Against Racism is a signature campaign of YWCA USA to build community among those who work for racial justice and to raise awareness about the negative impact of institutional and structural racism in our communities. Founded by YWCA Trenton and YWCA Princeton in 2007, Stand Against Racism quickly grew to a national presence by 2010, when an additional 80 YWCAs across the nation, including YWCA Evanston/North Shore, took a Stand. Over 2,000 organizations across 39 states joined YWCAs in the Stand Against Racism. This phenomenal success has attracted well over 250,000 participants and earned the endorsement of five U.S. Governors. The event has been widely featured by local ABC, NBC, CBS, and other networks. The Stand Against Racism in Evanston will take place this year on Wednesday, April 24 (along Ridge). We invite you to join the Stand as an organization, school, or business and reach out to another organization to be with you. Register at www.standagainstracism.org for your group to participate in our public Stand Against Racism. The Stand Against Racism in Skokie will take place this year on Thursday, April 25 (on Oakton, in front of Village Hall and Skokie Public Library). We invite you to join the Stand as an organization, school, or business and reach out to another organization to be with you. Register at www.standagainstracism.org for your group to participate in our public Stand Against Racism. As we learn to talk THROUGH the issue of racism (instead of around it), we need to share a common language, and deepen our understanding by looking at events and institutions through a racial equity lens. 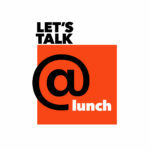 One opportunity for such practice is our “Let’s Talk @ Lunch” program. Participants gather, have a cup of coffee or eat lunch, and YWCA provides a trained facilitator. All are welcome!